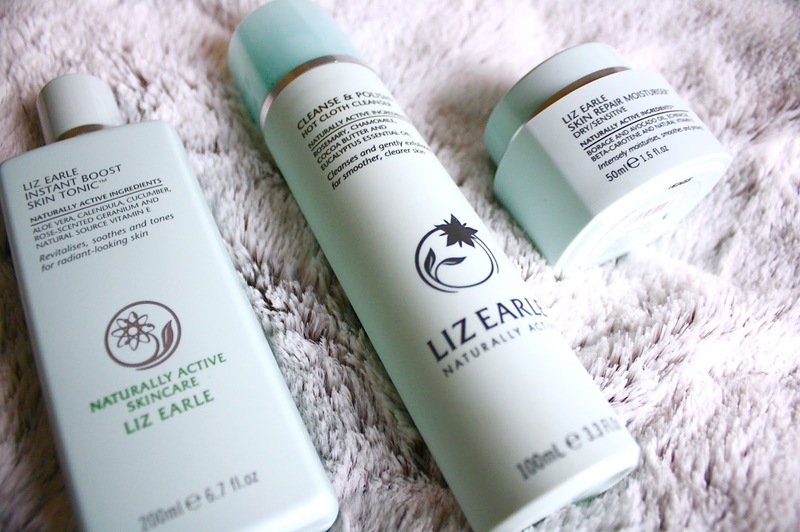 Whilst I was in school, I used to always use the Liz Earle Hot Cloth Cleanser to freshen up my face in the mornings and also in the evenings before bed. I recently decided to give it another go, seeing as I can't quite remember why I had stopped the first time around. Along with this, I chose to repurchase the Instant Skin Boost Tonic, which I also used to use a lifetime ago. I was obviously feeling particularly spendy whilst browsing online and lastly the Skin Repair Moisturiser and a few sets of muslin cloths made the cut too when I decided it was finally time to check out. I have been using a combination of the 3 products for a good few weeks now and I have noticed a fair improvement in my complexion. Each morning/evening, I freshen up/remove my makeup using the Hot Cloth Cleanser first, sometimes after using a makeup wipe to remove the real gritty makeup. I run a muslin cloth under warm water, wring it out and gently swipe it across my face in circular motions, using a new section of cloth for each sweep. It always leaves my pores feeling fresh and the fragrance is so delicate and rejuvenating. 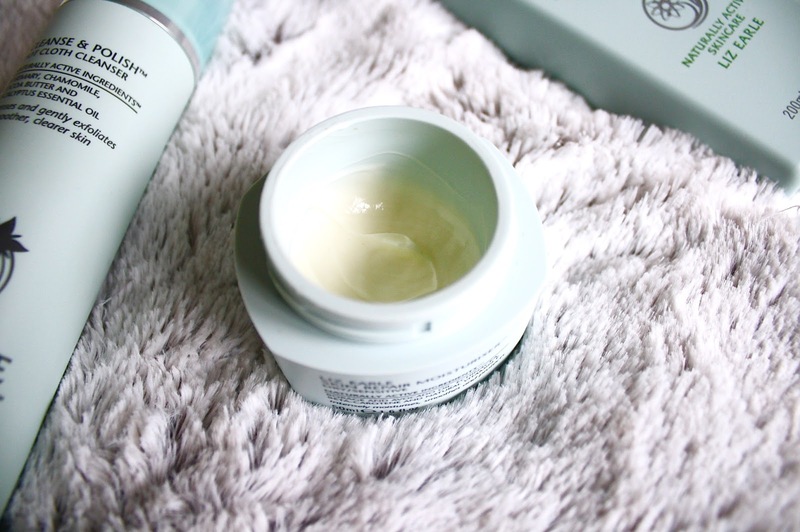 As I'm fairly headache-prone, it's such a soothing scent to use, with its ingredients including rosemary, chamomile, cocoa butter and eucalyptus essential oil. 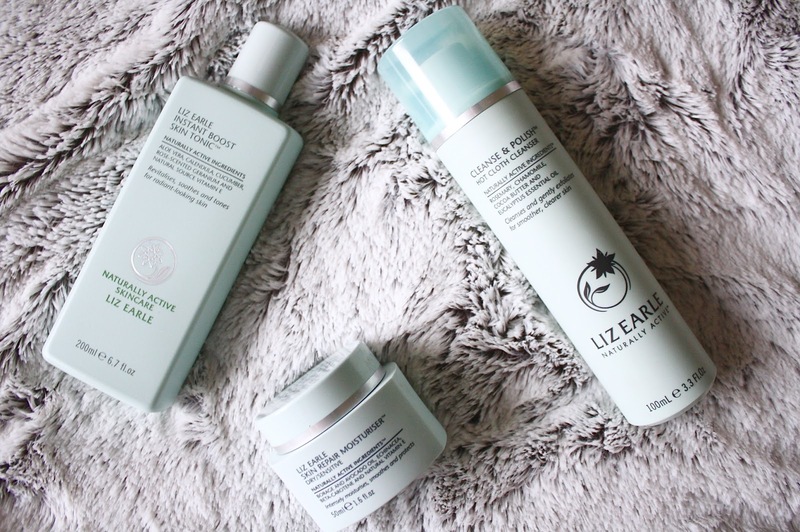 Have you tried any of the Liz Earle products? What has been your favourite product from the range?